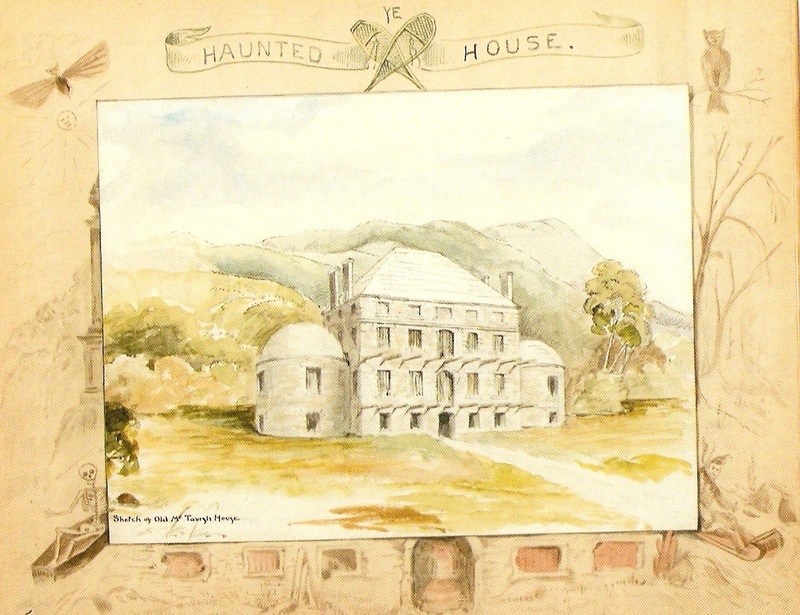 Welcome to the thirty-seventh installment of the Haunted Montreal Blog! Our September edition examines the Phantom Calèche, one of Montreal’s most dangerous apparitions. 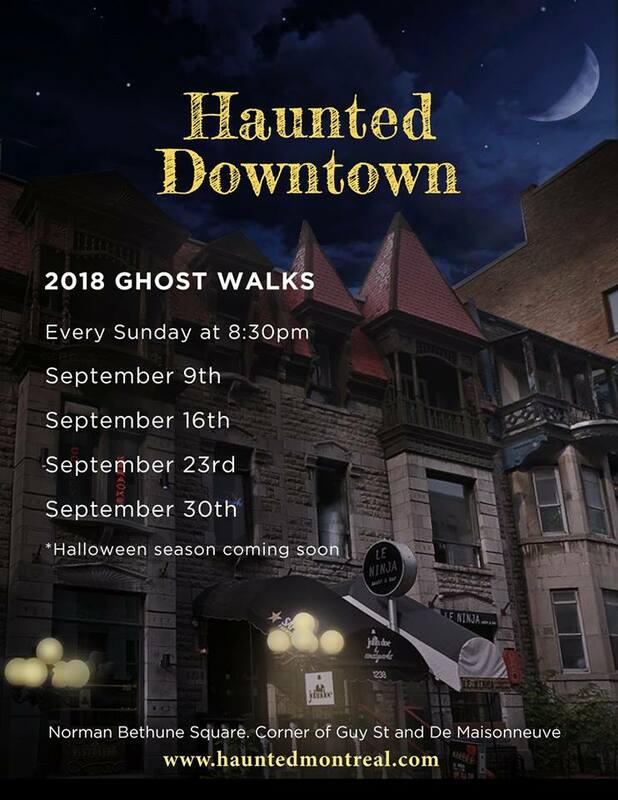 Haunted Montreal is currently offering a public season of ghost tours, including Haunted Griffintown on Friday nights and Haunted Mountain on Saturday nights. We are also pleased to announce our Hallowe’en Season! For the month of October, Haunted Montreal has added many extra tours, including our newly-revised Haunted Downtown Montreal ghost walk – in both English and French! 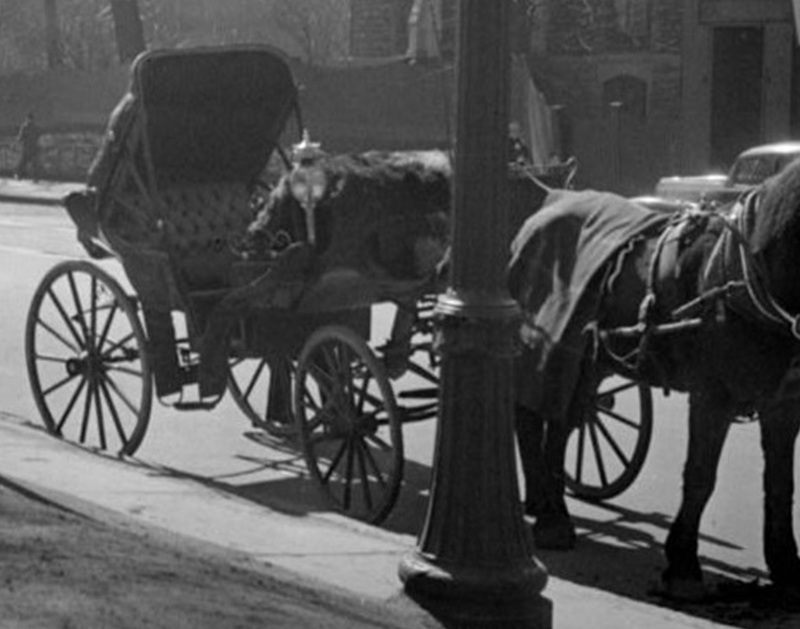 Horse-drawn carriage rides in Montreal have been a long-cherished tradition for centuries. Since the 18th Century, horse-drawn carriages, also known as calèches, have been ferrying tourists around Montreal to take in the sights and attractions. 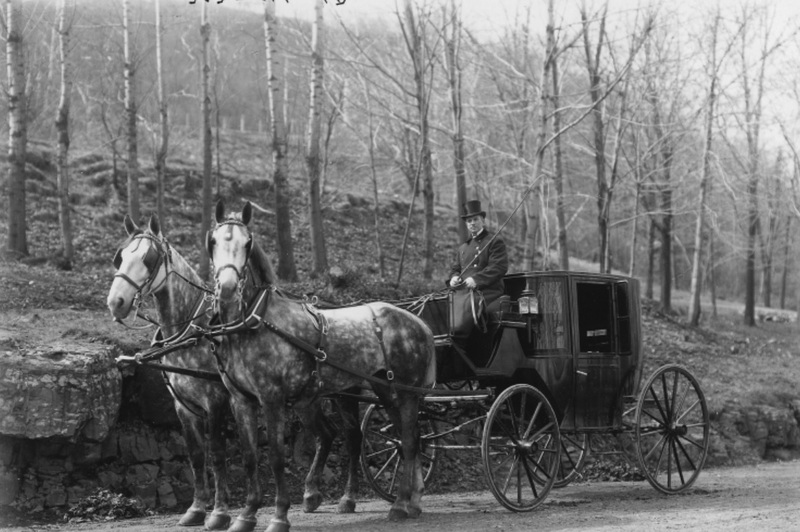 Those driving the carriages include a cast of colorful characters who have a long history of unveiling some of Montreal’s most unusual and darkest secrets. This long-enjoyed tourist tradition is about to come to an end in 2020, on orders of Montreal’s new mayor, Valerie Plante. While most people believe her decision was influenced by animal rights activists, a few speculate that she decided to ban them due to one particular reason: a paranormal carriage known only as the Phantom Calèche was putting tourists in serious danger. 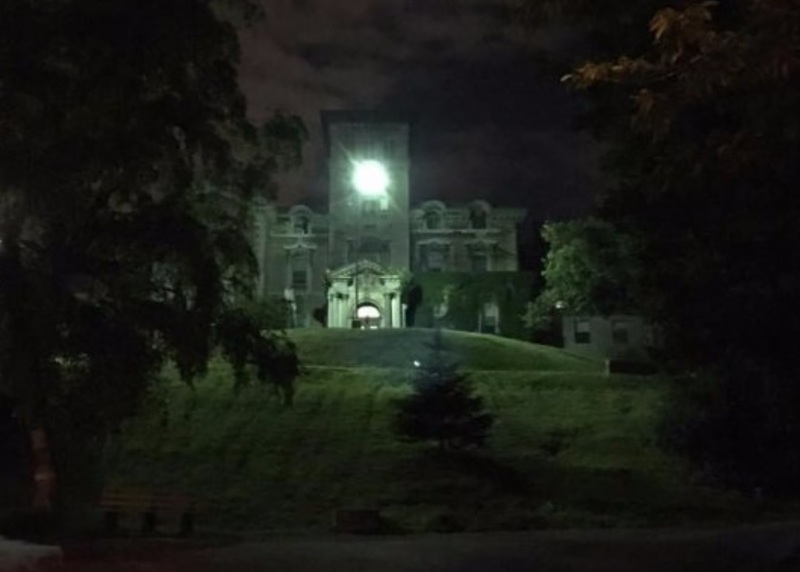 According to the archival documents, in 1808, an man named Timothy Bigelow described his own carriage ride up Mount Royal to visit the abandoned castle and recently-erected tomb of Simon McTavish, today one of Montreal’s most infamous ghosts. 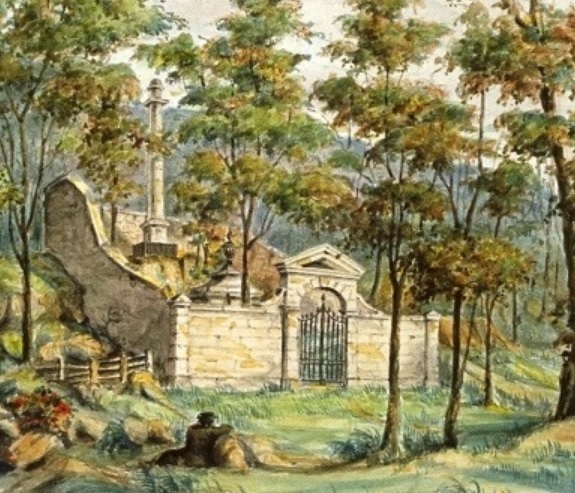 Simon McTavish, the richest man in the city, had died suddenly in 1804 while constructing a magnificent castle on the slopes of Mount Royal. Following his untimely demise, all work on the castle stopped, and instead workmen spent their efforts building a beautiful mausoleum at the back of the property so Simon McTavish could rest in eternal peace. 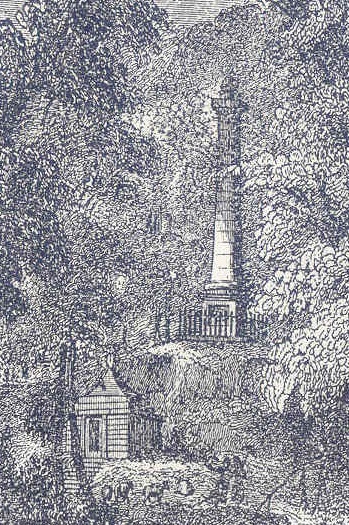 His nephews also erected a tall stone column devoted to his “manly virtue” on a cliff behind the mausoleum. As the years passed, the abandoned castle and mausoleum slowly began to crumble. Soon the old castle began to take on the reputation as a haunted house. Today, the carriage drivers still ferry tourists around, albeit only in Old Montreal. 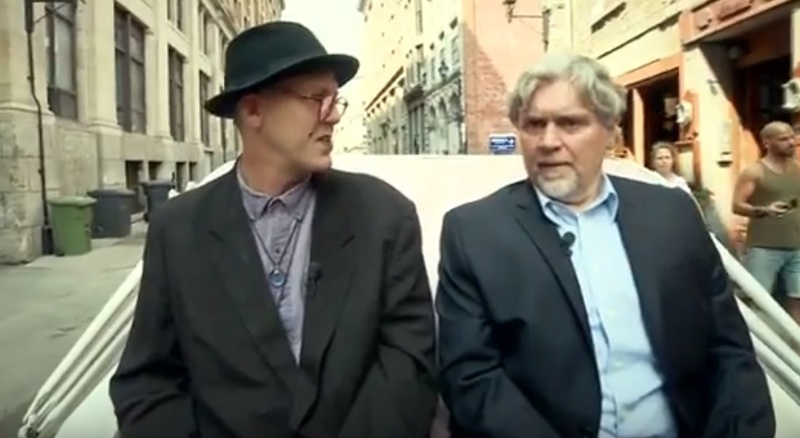 They recount historical facts along with strange tales and dark Montreal legends. 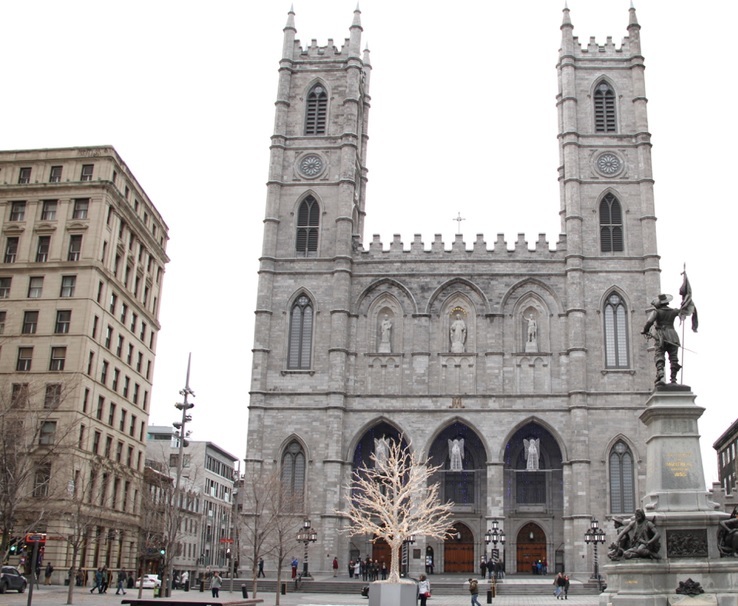 In one example, a tale called The Devil and the Wind has long been told by carriage drivers passing the Notre Dame Basilica. The Devil and the Wind, goes the legend, were walking down Notre Dame Street, when this Church had just been built. “Why,” said the Devil, “what is this? I never saw this before.” “I dare you to go in,” replied the Wind. “You dare me, do you? 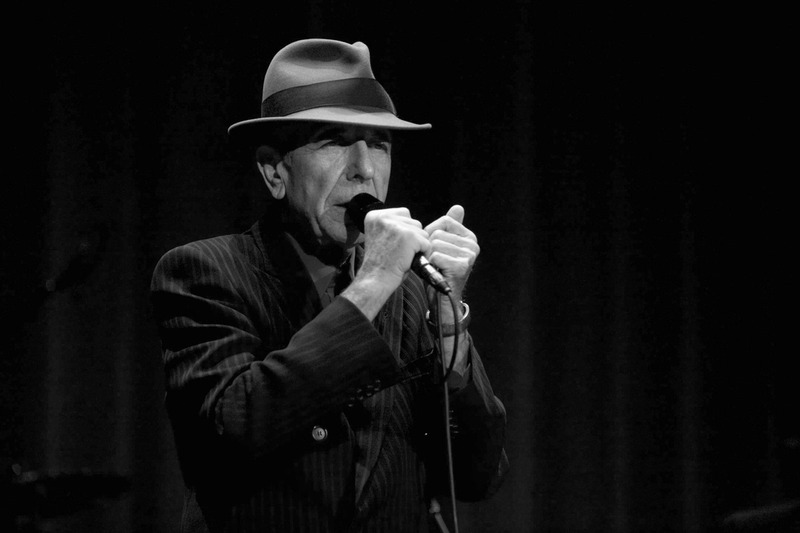 You wait here till I come out,” cried the Devil. “I’ll be at the corner,” said the Wind. His Majesty went in. He has never yet come out, and the Wind has remained ever since waiting for him at the corner. Another persistent legend told by Montreal’s calèche drivers is that of the Lady of the Harbour. 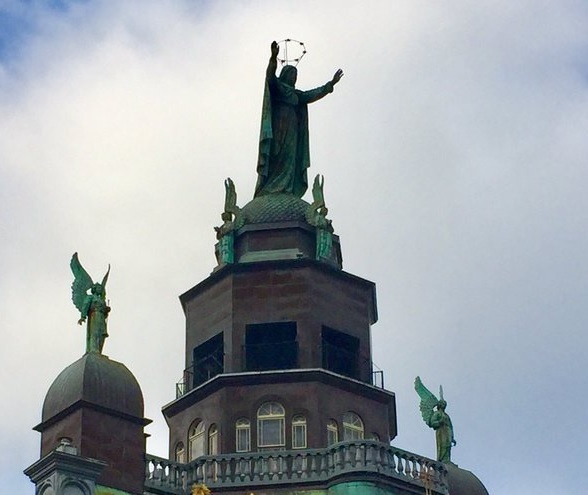 Perched atop the Notre-Dame-de-Bonsecours Church in Old Montreal, also known informally as the Sailor’s Church, is a magnificent statue of Mary, the Star of the Sea. With statues of two Angels of the Apocalypse flanking her, the Lady of the Harbour has long-been a sacred object to sailors coming in and out of Montreal’s old port. Historically, sailors would pray to the statue of Mary, the Star of the Sea, to ask for her for protection or to thank her for a safe crossing over the Atlantic Ocean. When a ship arrived in Montreal’s old port, it was a tradition for sailors to show gratitude to the Lady of the Harbour with a prayer onboard before entering the city for often-debaucherous activities. According to the legend told by the calèche drivers, one night a ship arrived late in the harbour. The sailors, so very eager to indulge in the city’s Red Light District after three months at sea, forgot to say a prayer to the Lady of the Harbour. As they began to disembark, the loud blare of horns could be heard from the roof of the Sailor’s Church. As one calèche driver rolled by, he looked up and saw that the two statues of the Angels of the Apocalypse had lifted their trumpets and began blowing into them, foreshadowing a certain doom. According to the legend, the driver then noticed a thick fog rolling in across the river. What he saw next, utterly astounded him. The statue of the Lady of the Harbour began to turn around, turning her back on the port. 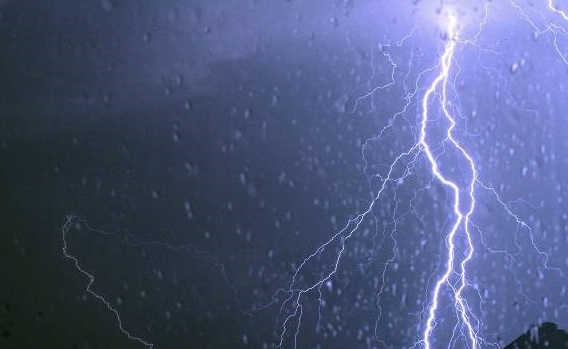 Suddenly, thunder roared and lightning flashed as a major storm rolled in. That frightening night dozens of ships were smashed apart and several sailors drowned in Montreal’s port. When the sun rose the following morning, the Lady was facing the harbour again. Needless to say, carriage drivers would recount the legend of the Lady of the Harbour to warn visiting sailors not to forget their prayers. Despite the carriage-drivers imparting local lore to tourists over the centuries, animal rights activists began calling for a ban on calèches in the 1980s. The activists argue that it is cruel to make horses work long hours in difficult conditions, including intense heat and traffic. Things came to a head in April, 2016, when a runaway calèche slammed into a car in Griffintown. 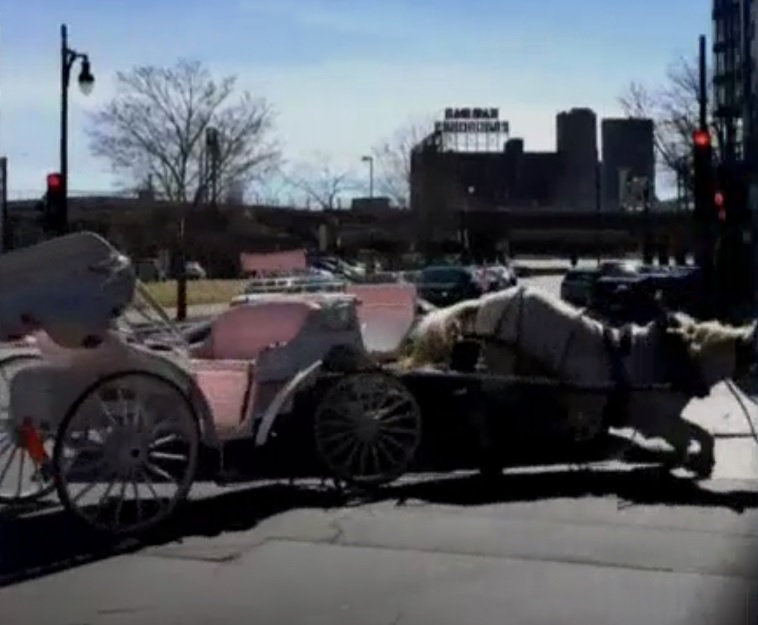 The accident prompted former Mayor Denis Coderre to try and ban horse-drawn carriages for a full year, but the calèche drivers won a court injunction that allowed them to continue operating. Agony struck again in September, 2017, when a horse collapsed on the Place d’Armes, right in the heart of the tourist district. When Plante won the election in November, 2017, she made good on her promise. 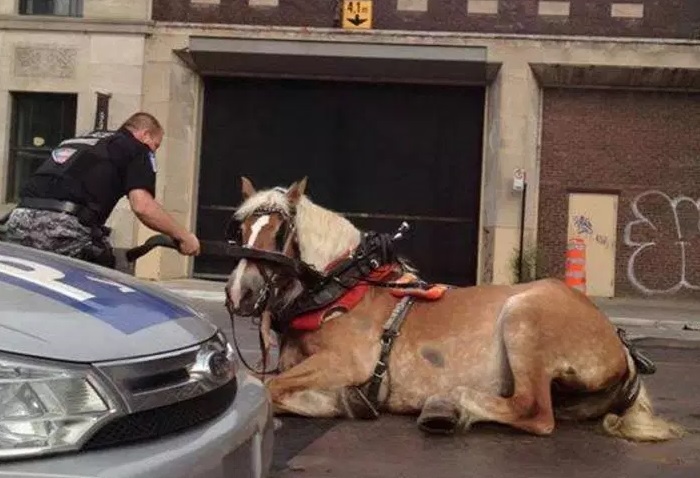 The City of Montreal was quick to identify four accidents involving horse drawn carriages since 2014 and submitted 14 reports of infractions concerning the health of the animal or the poor state of the carriage. The City of Montreal then put the calèche owners on notice, warning them that the last day horses will be allowed to trot through Old Montreal’s streets is on December 31, 2019. Those who violate the ban are threatened with fines of $500 to $1,000 for a first offence, which doubles for re-offenders. 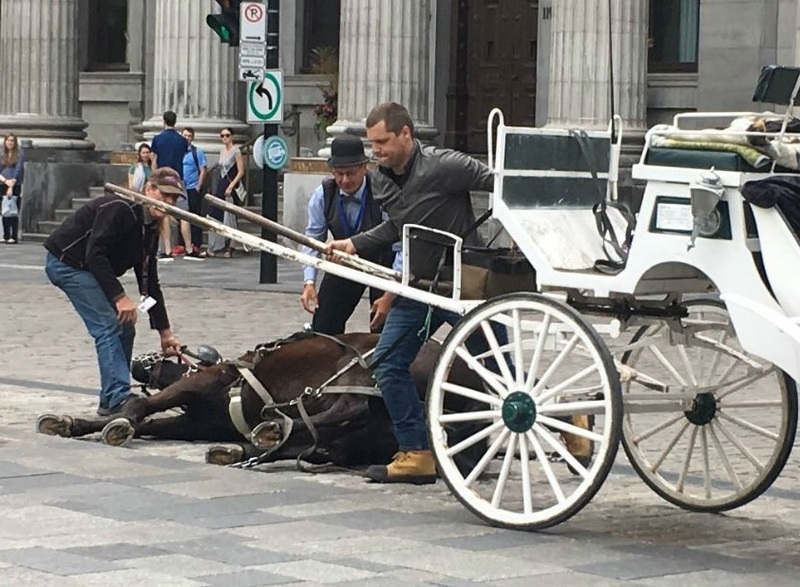 The swift action of Mayor Valerie Plante against the carriages was applauded by the SPCA and Action Anti-Calèche group, but the carriage owners themselves were not happy. J.P. has his own theories about why Mayor Valerie Plante was so intent on banning them. Whether Mayor Valerie Plante banned the calèches to satisfy the animal-rights activists or to simply to try and get rid of a dangerous spirit is unknown at this time. 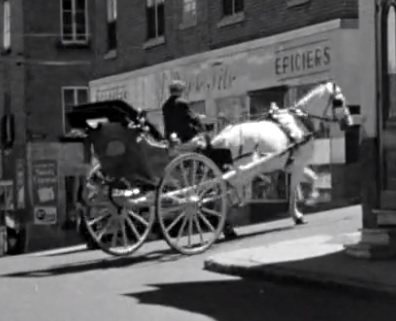 The Phantom Calèche is certainly one of the city’s most alarming apparitions, as featured in the popular “Streets of Montreal” TV series by Michael Leo Donovan (segment runs 10:53-15:14). Whatever the case, nobody knows if the Phantom Calèche will continue its rounds in Old Montreal after all the other carriages are banned – or whether it too will disappear from the cobble-stone streets once and for all. The Hallowe’en Season is upon us and Haunted Montreal is pleased to announce we are offering all three of our ghost tours, including the newly-updated Haunted Downtown! For the month of October, please consider making Haunted Montreal part of your Hallowe’en Season. Tickets are now on sale! Haunted Montreal also offers private tours for groups of 15 or more people, including company outings, school groups, bachelorette parties and other gatherings. Please contact info@hauntedmontreal.com to organize a private tour. 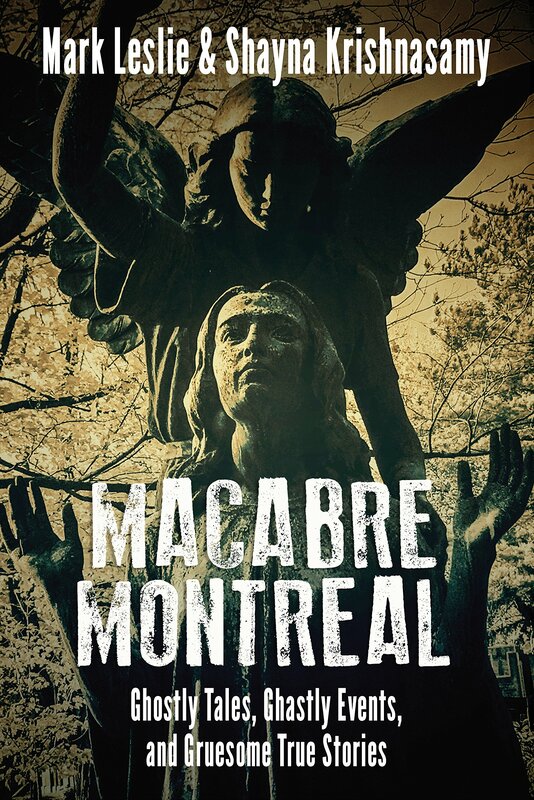 We are also pleased to announce an upcoming book called Macabre Montreal. Haunted Montreal would like to thank all of our clients who attended a ghost walk during the 2018 season! If you enjoyed the experience, we encourage you to write a review on our Tripadvisor page, something that helps Haunted Montreal to market its tours. Lastly, if you would like to receive the Haunted Montreal Blog on the 13th of every month, please sign up to our mailing list. Ravenscrag is a classic haunted house on the slopes of Mount Royal. Built by industrialist Sir Hugh Allan in 1863, the opulent mansion welcomed the city’s elite for lavish parties. The home was gifted to McGill University in the 1940s and transformed into a psychiatric hospital: the Allan Memorial Institute. It was here that CIA-funded experiments into brainwashing were carried out against unwilling patients during the Cold War, resulting in serious brain damage and broken lives for countless innocent victims. Not only are many of the buildings on the grounds reputed to be haunted, but one survivor of the experiment believes there is also a secret children’s cemetery located just behind the property.